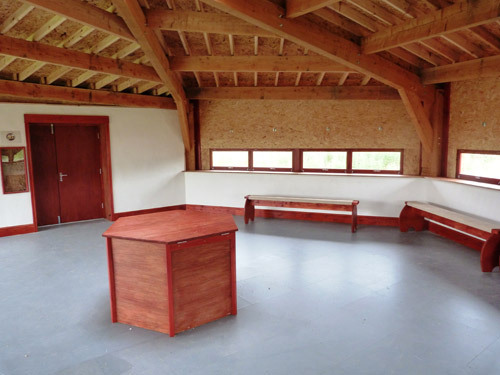 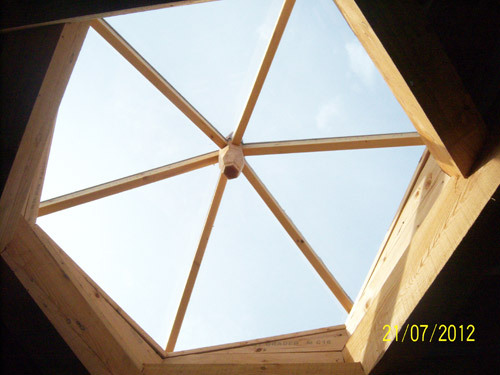 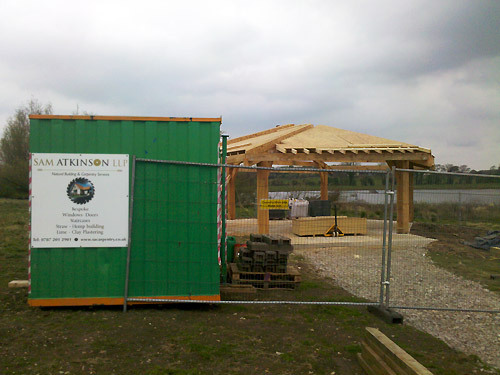 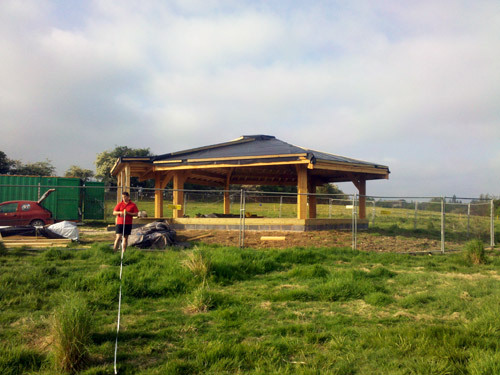 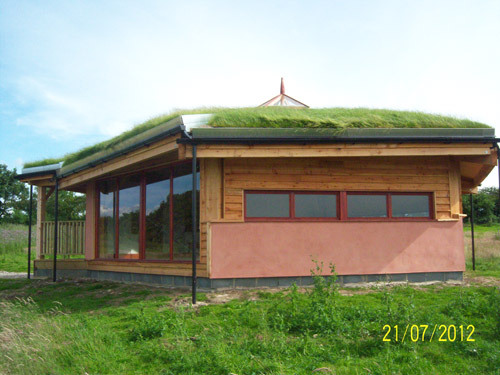 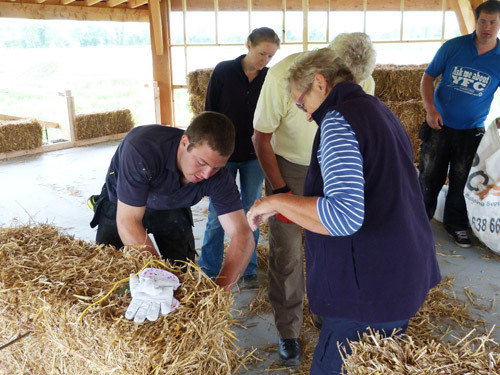 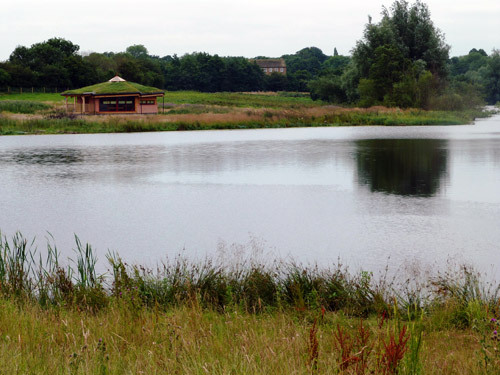 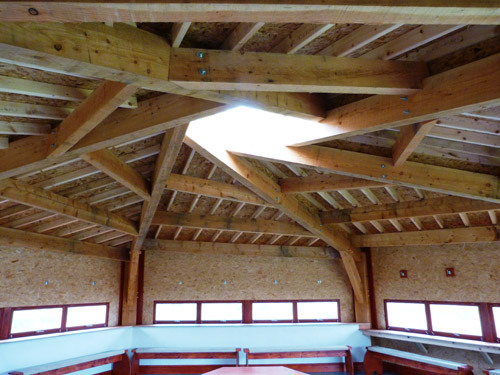 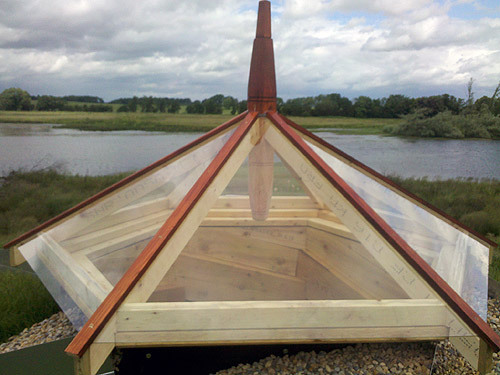 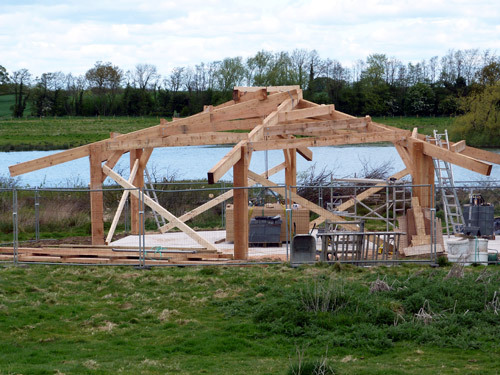 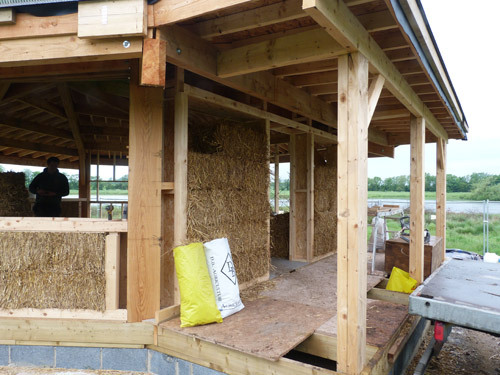 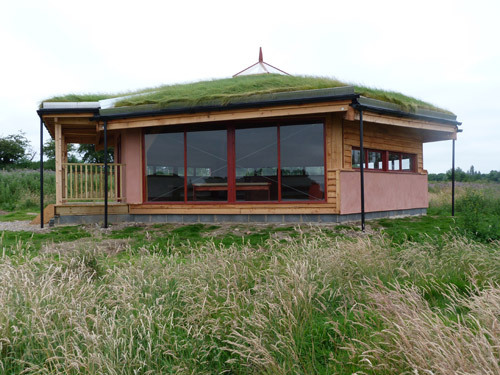 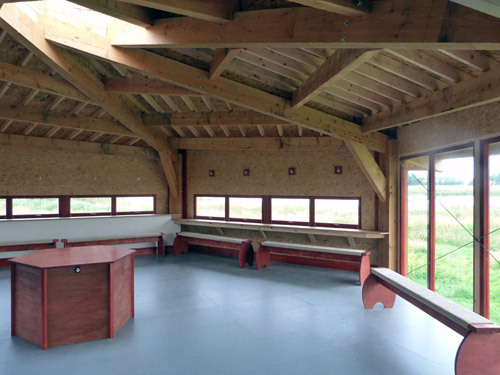 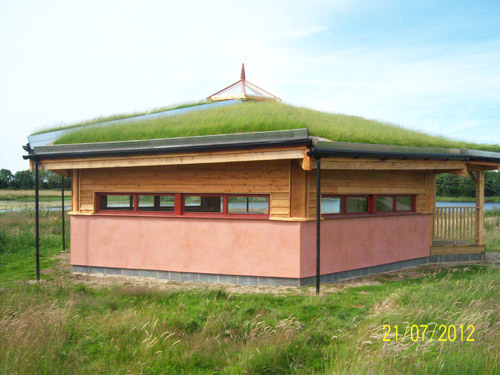 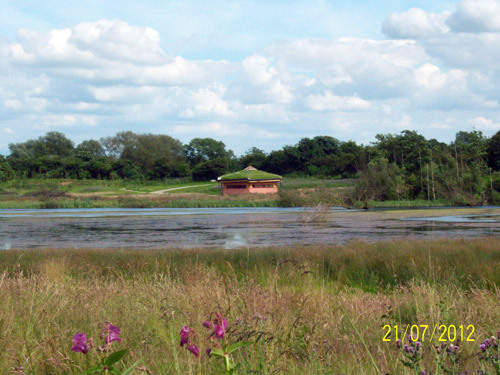 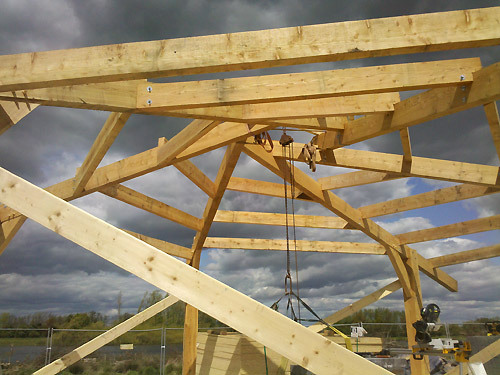 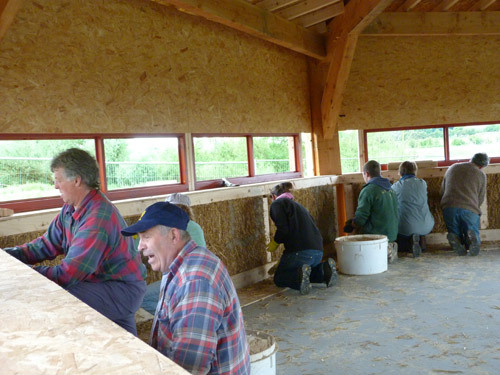 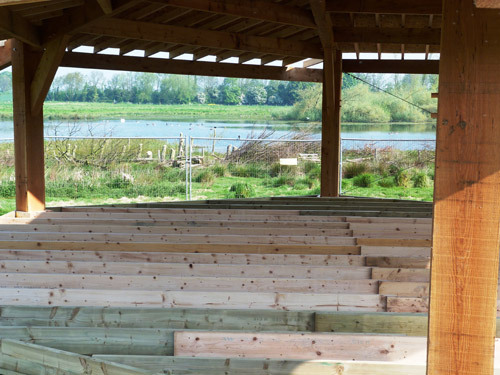 Our second straw bale hide for Yorkshire Wildlife Trust was completed in 2012. 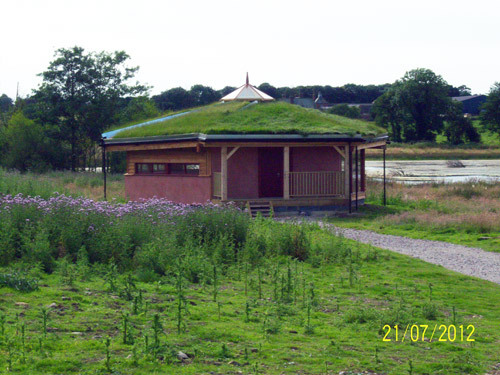 It is located at Staveley Reserve near Harrogate, North Yorkshire. 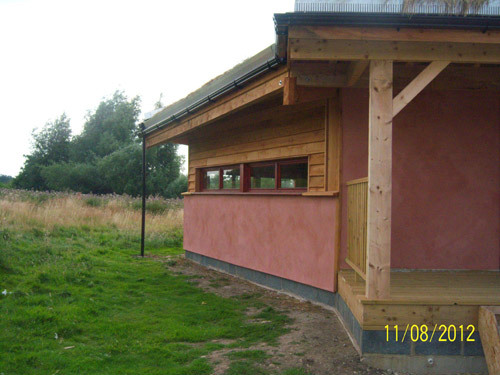 This large wildlife observatory is the same shape, size and design as the original at North Cave Reserve but the exterior finish differs in that larch cladding has been used above the viewing windows and the lime render is finished with a pinky coloured lime wash – sange de beouf.